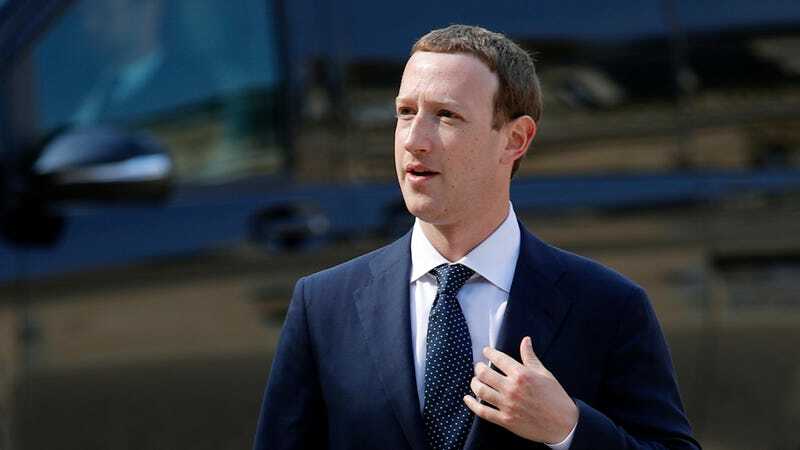 Facebook’s CEO Mark Zuckerberg, arrives to meet France’s President Emmanuel Macron after the “Tech for Good” Summit at the Elysee Palace in Paris, Wednesday, May 23, 2018. The attorney general for the District of Columbia may have obtained internal company emails showing that Facebook had knowledge of Cambridge Analytica’s data-harvesting efforts months earlier than CEO Mark Zuckerberg let on last year. Now, the company is arguing to keep the emails under seal, saying the firm’s data-scraping is unrelated to the breach of privacy that precipitated multinational investigations. In a statement last year on Facebook, Zuckerberg claimed that his company first learned about Cambridge Analytica’s unauthorized collection of user data in December 2015, after the Guardian and broke the story. Attorneys for Facebook and the District appeared before Judge Fern Saddler at 3pm on Friday to argue their pending motions. Saddler is expected to issue a written ruling soon, which determine whether Facebook’s internal emails are admissible. If you have a tip about Facebook or the Cambridge Analytica case, email the author: dell@gizmodo.com. You can also reach out securely using SecureDrop.